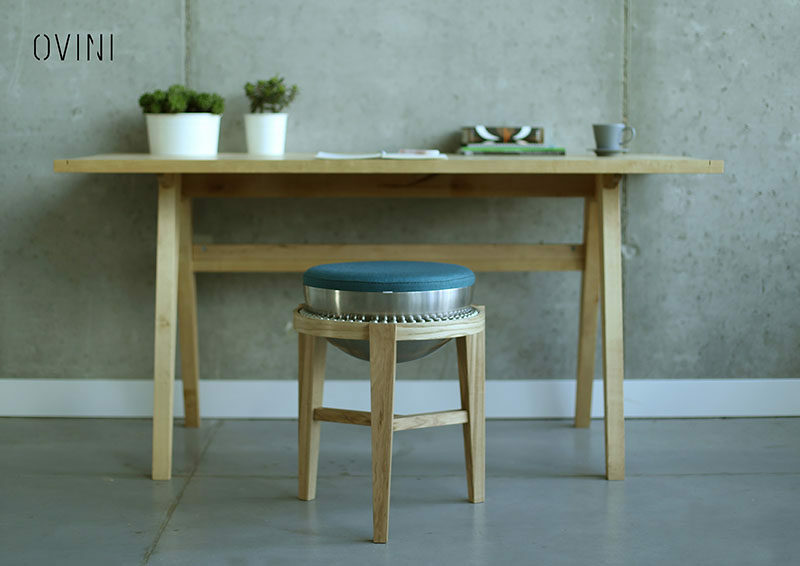 Polish industrial design student Weronika Zytko, has completed OVINI, a small balance stool that makes use of steel ball bearings to create a tilting seat. 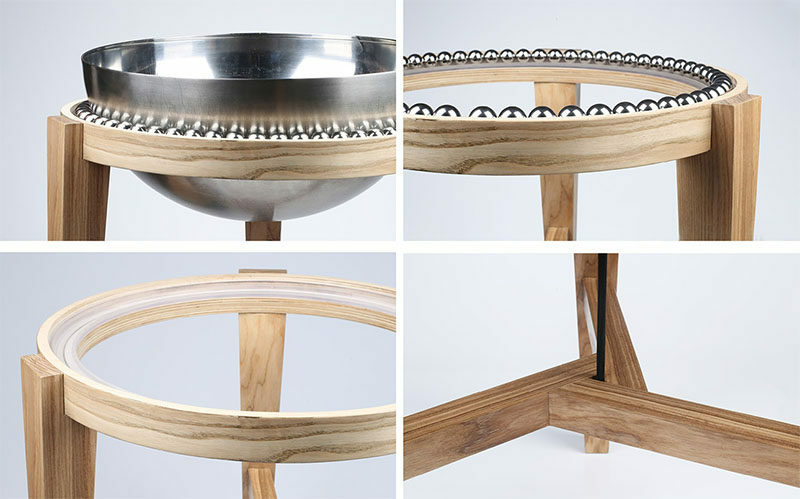 The wood stool has been designed in a way that allows the ball bearings to sit within a polycarbonate ring that’s located within the rim of the frame. 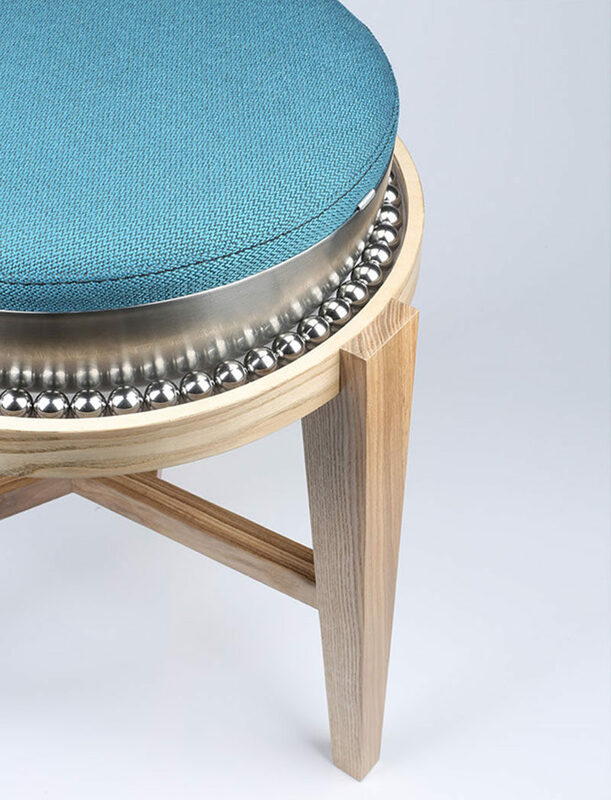 By placing the ball bearings within the rim, the steel balls allow the curved steel base of the upholstered seat cushion to freely move depending on the position of the person seated on it.